Maria Skłodowska or as we know her, Marie Curie, was born in Warsaw in 1867. A woman of many “firsts,” Marie Curie is the perfect role model for young women everywhere. She was the first female to win a Nobel, the first person and only woman to ever win twice, the only person to win a Nobel in two different sciences, the first female professor at the University of Paris, and the matriarch of the Curie family legacy of five Nobels in total. The Marie Curie Alumni Association is bringing Marie’s story to the world with the release of the fully illustrated children’s book, Marie Curie and the Power of Persistence. Who: Marie Curie, born as Maria Skłodowska in Warsaw in 1867, learned how to read and write at an early age. As women were not allowed to attend university, Maria and her sister Bronya had their sights set on Sorbonne University in Paris—the only university to accept women at the time. Maria worked as a governess for years to pay her sister’s way through university, and when it came time to repay the favor, Bronya paid for Maria’s education, and she was on her way. What: Maria moved to France in 1891 and changed her name to Marie. After only three years, she received her degree in physics. She shared a lab with fellow physicist and future husband, Pierre Curie, and together, they made groundbreaking discoveries. When: In 1898, the Curies announced their discoveries of two new chemical elements—polonium and radium. In 1903, the Curies and Henri Becquerel shared the Nobel Prize in Physics for their discoveries of spontaneous radioactivity, and Marie became the first female to win a Nobel Prize. In 1906, shortly after Pierre’s sudden death, Marie became the Professor of General Physics in the Faculty of Sciences at Sorbonne University in Paris, becoming the first woman ever to hold this position. In 1911, she was awarded the Nobel Prize in Chemistry for her discoveries and advancement of the chemical elements radium and polonium, making her the first person to win two Nobels and the only person to win two Nobels in different sciences. 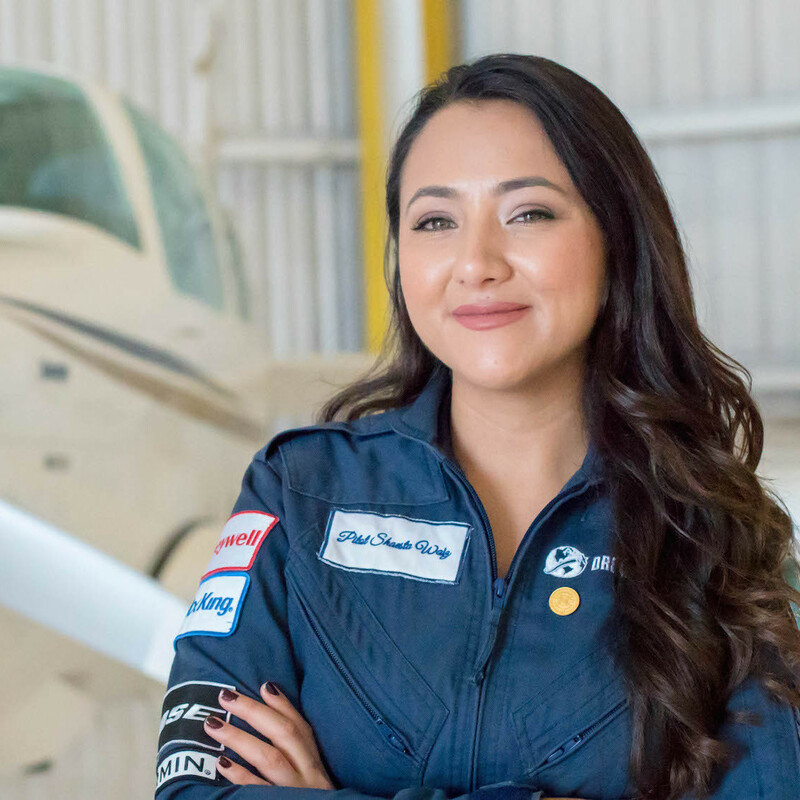 How: Independence, perseverance and a bit of a rebellious attitude are the timeless and hallmark character traits of STEM Gems worldwide. Fortunately, Marie’s parents were teachers and believed that their daughters should be educated—a belief that went against the cultural belief that women were inferior. Why: Despite her discoveries, Marie faced tremendous opposition from her male scientific counterparts in France. She had to overcome great adversity among her peers. Her discoveries led to significant developments in the medical field as Marie and her daughter, Irène, were active in the development and implementation of mobile x-ray units to help the wounded soldiers on the front lines in WWI. Marie became the head of the International Red Cross’ radiological service, and she trained medical orderlies and doctors in the new techniques. The advancement of X-ray technology is due to her hallmark discoveries and perseverance. Why is Marie Curie’s work in the early 1900’s so important today? Marie’s story is inspiring to young women everywhere as they face their own adversity and challenges in society, school, and the workplace. Marie Curie was an original STEM Gem before STEM was even an acronym. Her pioneering path in physics and chemistry while defying her society’s view of women and mothers is motivation to women everywhere—never give up no matter what the odds. 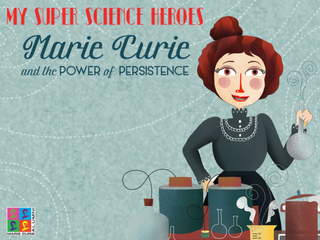 A beautifully illustrated book Marie Curie and the Power of Persistence encourages future STEM Gems to recognize the superhero strength within us all—persistence. Order the book today and allow Marie Curie to inspire you to persist through any adversity you may encounter in life.